This classic reversible belt is new for Cruise 2019 in the new Micro Intrecciato workmanship, echoing the bags of the season. 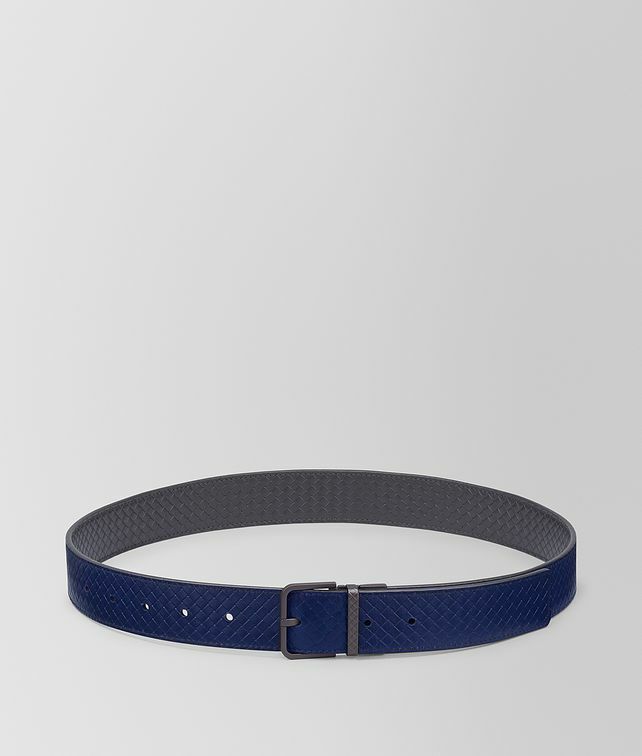 The casual calf leather belt is embossed on both sides with a small intrecciato motif. The buckle is cleverly designed to rotate enabling the belt to easily be reversed. It is finished with black seams and hand-painted edges.